Happy Friday all! I hope you all enjoyed your last few days before your Christmas Break! I'm linking up with Amanda at Teaching Maddeness for a Friday Flashback Linky! This week my class was really busy. We spent some time talking about Sandy Hook Elementary and what our class and school plan was for a lockdown. 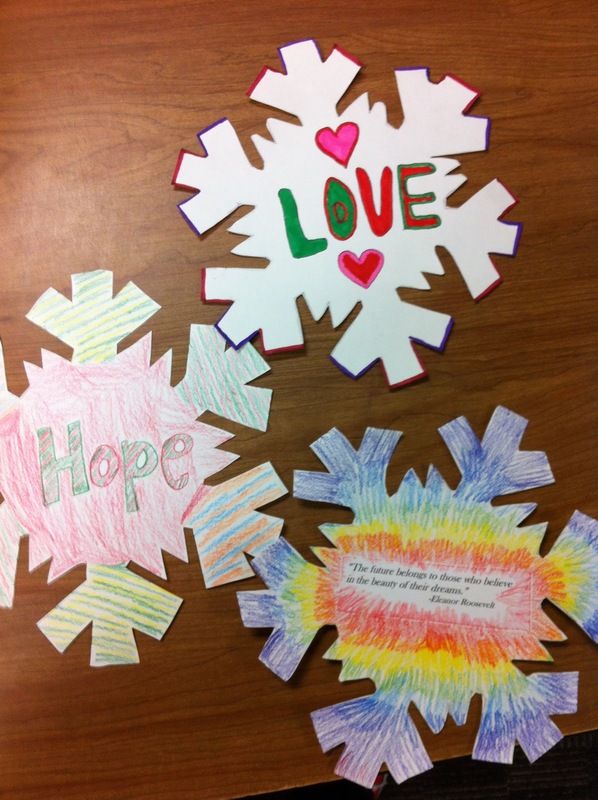 Many of my students wanted to write letters to Newtown and I believe it was a helpful way for them to express their feelings. We came upon the Snowflake Project, where schools from all over the country are sending snowflakes to Sandy Hook so they can have a Winter Wonderland to return to. Didn't they do a GREAT job!! We also started a new unit on Decimals. We reviewed Addition and Subtraction of Decimals and then started to practice Multiplication. A lot of my students learn lattice multiplication in elemtary school and they STRUGGLE with decimals. I have to reteach traditional and it always takes a TON of time. One nice thing was they practiced word problems using by Wacky Wordies. 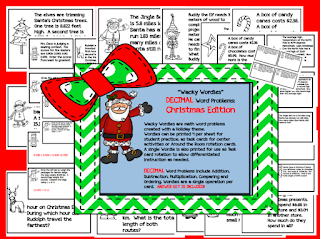 I made a Christmas edition and the smarties loved it. 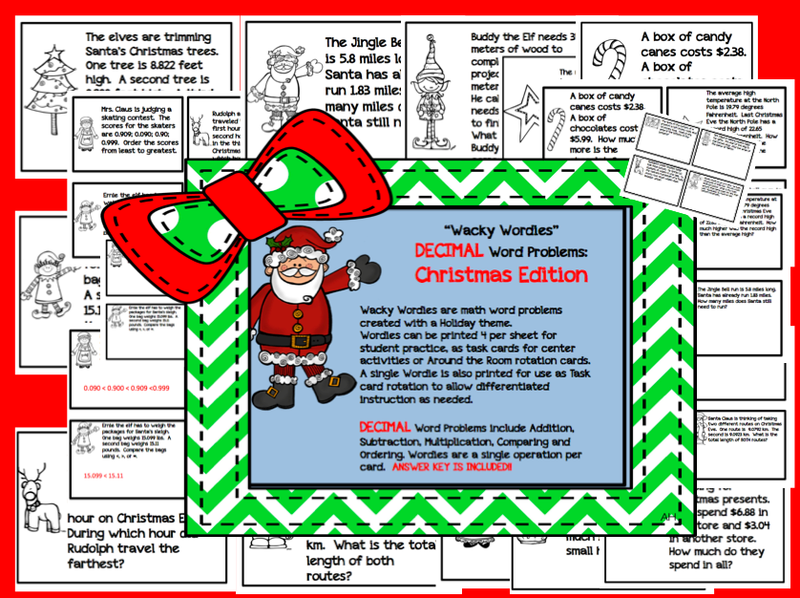 I'm in the process of making a Decimals Wacky Wordies that is NOT Christmas-y but I've had too many presents to wrap lately! Finally my students had a lot of fun practicing their Sequence and Alliteration skills. 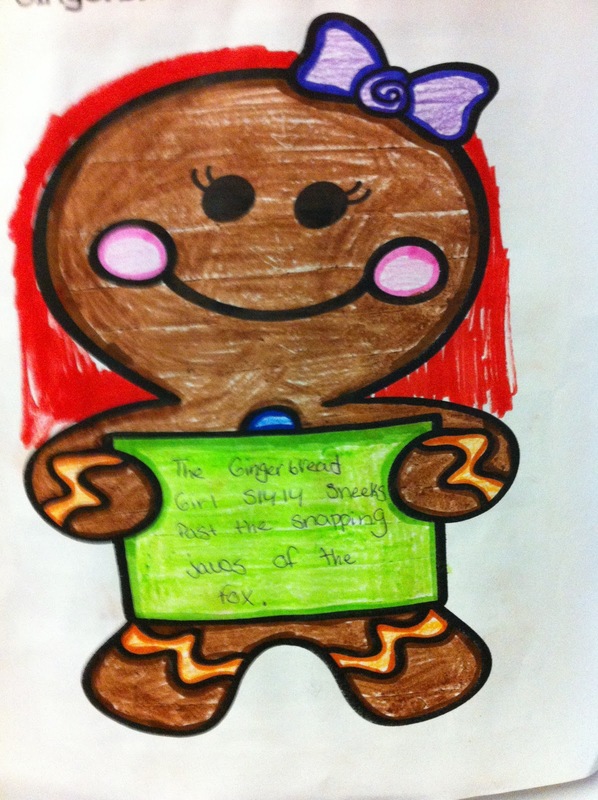 I used a book called The Gingerbread Girl. Aren't they too cuTe! If you get a chance link up with Amanda for a Friday Flashback!! Oh my word! How much do I love those snowflakes for Sandy Hook!??? 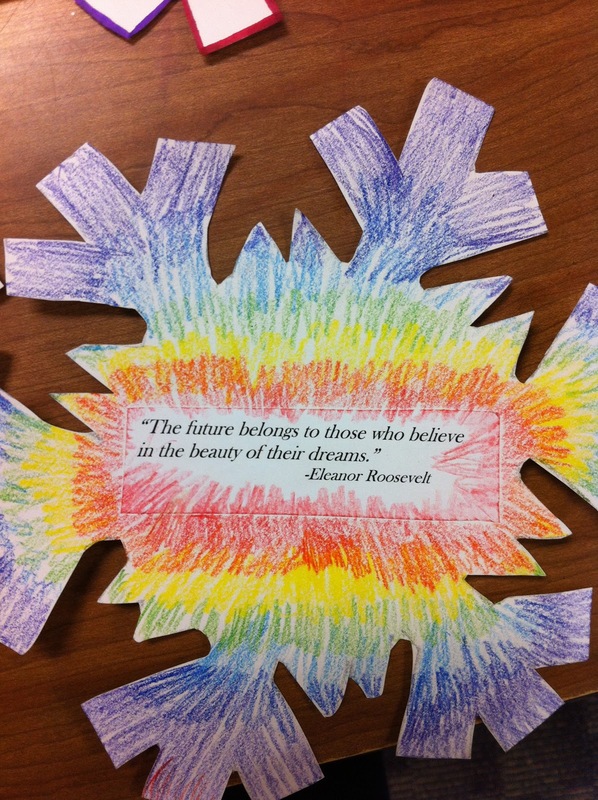 Those will definitely make their new school seem like a winter wonderland! Fortunately, I don't think many (if any) of my students know about the situation, but if they did I would definitely have them express their feelings with this positive project. 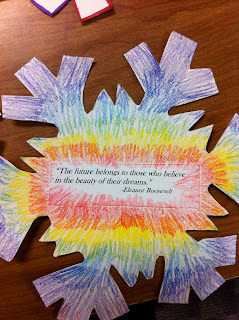 The snowflakes were a beautiful project! It's nice that your kids reached out. I couldn't really discuss with mine. In fact we were told not to. :-( The kids didn't really talk about it anyway. 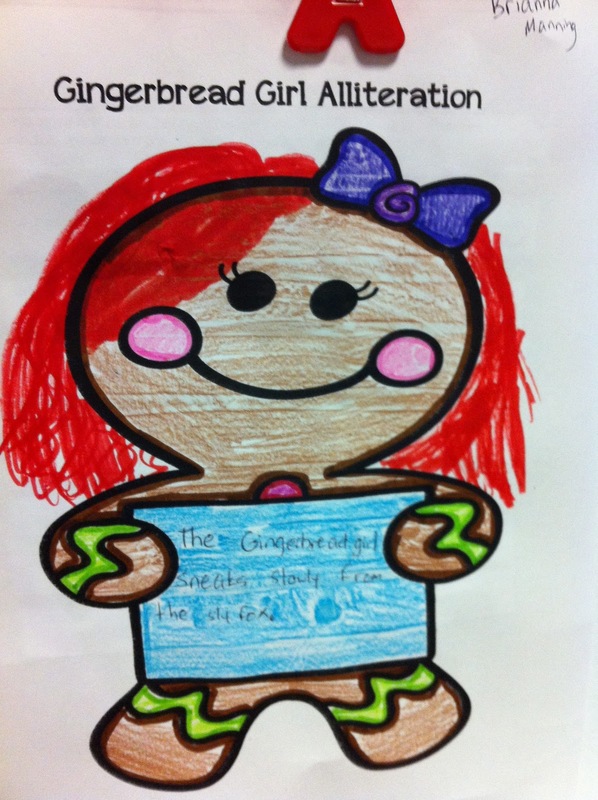 The gingerbread girls are adorable. Loving that you use picture books with your 6th graders. 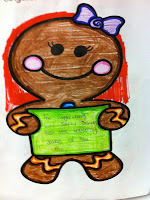 Even "big" kiddies love picture books!